← Monday, January 19, 2015 Out to lunch again! Today it is good to be on track again. 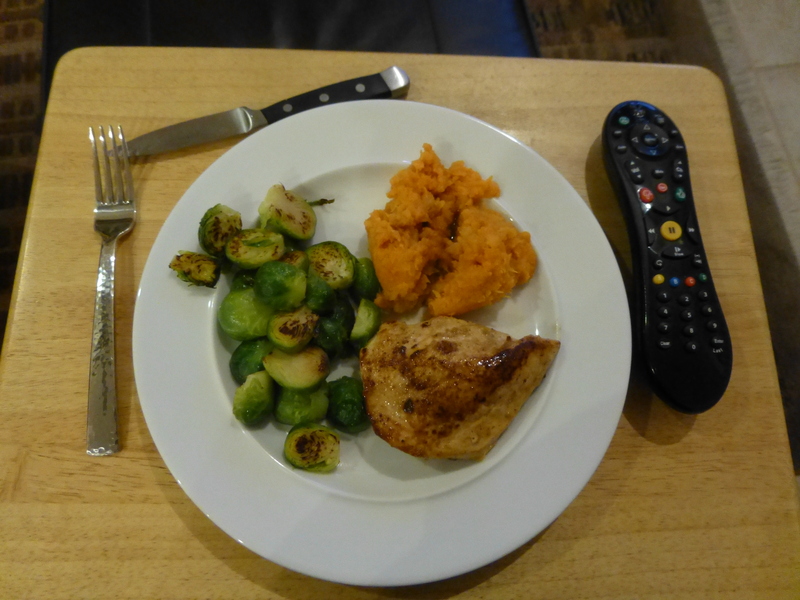 John goes to work and I putter around the house and have pan roasted chicken, a rutabaga, sweet potato, butternut squash mash and Brussels sprouts ready to go when he gets home. (I am such the 50’s wife today!) The mash is made from the leftover pieces of the winter soup we had on Party Night. It’s all good and comforting. This entry was posted in Poultry and tagged brussels sprouts, chicken, mashed root vegetables. Bookmark the permalink.